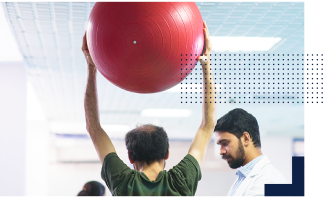 The Department of Physiotherapy spearheads education and patient care around the restorative science of physiotherapy. Established in 1996, the department offers undergraduate (BPT), postgraduate (MPT) and Ph.D programmes which are recognised globally. All programmes are affiliated to the Rajiv Gandhi University of Health Sciences (RGUHS). The Department of Physiotherapy collaborates with the students of medicine and other allied sciences. This fosters an academic environment where they learn and grow together. Through an integrated committee of cultural, literary and sports teams, and collaborative community programmes, the students learn to respect and work with other streams of health sciences. Minimum 50% in their 12th board exams with Physics, Maths, Biology and Chemistry as compulsory subjects. 4.5 years including a 6-month compulsory rotating internship. During 6-month compulsory rotating internship, students spend time in the Paediatrics, OBG and Orthopaedics wards, General Medicine and General Surgery wards as well as Neurology and Neurosurgery wards. Community posting is also mandatory during this time. Cross-cultural exchanges and cultural sensitization are the key aspects that underlie the exchange programmes. The department, under the Medical College, currently runs institutional programmes with the University of Ghent, Belgium and the University of Groningen, Netherlands. Students have also had the opportunity of receiving enhanced learning through Overseas International Learning (OIL) programmes. The Rehabilitation Services are extended in the area of Sports Physiotherapy with a collaboration with the Karnataka State Cricket Association (KSCA) to set up the KSCA-Ramaiah Rehab Centre at the KSCA premises in Bengaluru. The Centre will not only work with sport injuries but with sports preventive care as well. International students have the opportunity to participate in clinical observership for 4-6 weeks at the Ramaiah Hospitals. Students from Ramaiah too have the opportunity for summer school placement in Europe and the Philippines. Visiting a differently abled children’s school in BEL, Bengaluru, three times a week to offer rehabilitation. Both UG and PG students get to be a part of this on a rotational basis. 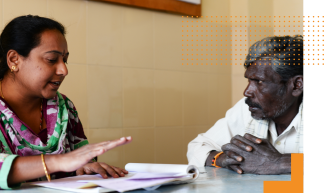 Manning and overseeing the physiotherapy clinic at the Sai Mandalli Physiotherapy Center and the Dignity Foundation for the elderly. Collaborating with the Dignity Foundation to create fitness awareness for senior citizens. The department is proactive in original research being undertaken by various members of the faculty. There are 9 ongoing funded research projects currently handled by the department. The research efforts are funded by both Government and non-Government agencies such as RGUHS, ICMR, PFI, TDF and DST. Dr. Savita Ravindra brings over 36 years of experience of teaching and consulting. 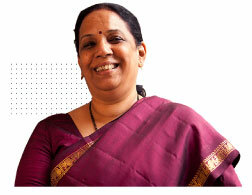 She has been associated with the Ramaiah Group since 1996 as a Professor and as a Head of Department. “One thing that I learnt in so many years at Ramaiah (both as a student and as a lecturer) is that if you want to learn and excel, you have to work hard at it, as the focus is on self-driven learning. From Day 1 of graduation to postgraduation, there’s no spoon feeding. One gets the best of experienced faculty both from physiotherapy and other departments of the medical college. But how much one extracts from the course is up to his/her motivation and capacity.